Feminine Harmony Ring – Orocrea Jewerly s.n.c. 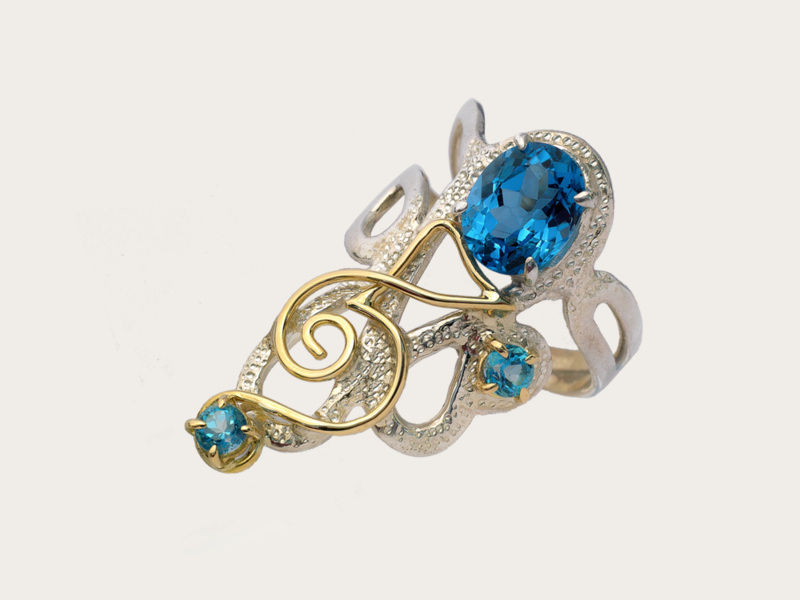 This ring celebrates the Sacred Feminine. The ring that best represents the Atlantis collection. It’s an expression of the feminine preciousness that manifests itself through harmony and beauty. You can choose the version with the base in white gold or in silver 925. The symbol in the sacred language for femininity is in yellow gold, so that the co-presence of the two metals recalls the union of the aspects of masculine and feminine. The stones are two topazes, which decorate the jewel with a clear blue light.